Throughout the month of May, we have been incredibly busy working hard on your behalf. Since day one, it has been a focus of our administration to increase transparency and to make state government more accessible and responsive to our citizens. 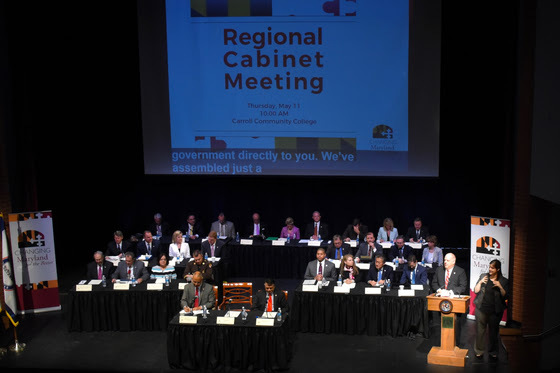 As part of that ongoing effort, earlier this month we hosted a regional cabinet meeting in Carroll County – directly connecting Marylanders to their elected leaders and dedicated public servants. It was a tremendous day, and we look forward to hosting many more regional cabinet meetings in the months to come. Immediately following the cabinet meeting, myself, Lt. Governor Boyd Rutherford, and our entire cabinet spanned out across the county meeting with local citizens, business owners, and even some future community leaders at Hampstead Elementary! Check out the picture above. I was also very excited to kick off the inaugural Maryland Governor’s Business Summit in Baltimore. Saying we are “Open for Business” isn’t just a catchy slogan on road signs – it defines our mission, and it’s why I ran for governor. We said we were going to help our businesses grow, put more Marylanders to work, and turn our economy around, and we have been doing exactly what we said we would do. Read more about the summit and our exciting new Excel Maryland Initiative below. Back in Annapolis, our fight against the heroin and opioid crisis continues, and I was proud to join with Senate President Mike Miller and Speaker Mike Busch in signing several bills to help strengthen our response to this epidemic. These initiatives will provide us with additional tools to save the lives of Marylanders in real trouble – before it’s too late. As summer begins, keep an eye out for future editions of the newsletter to see how we’re continuing to Change Maryland for the Better! Governor Larry Hogan joined his Cabinet and leadership team to host a regional cabinet meeting in Westminster, Md. in Carroll County. This marks the administration’s second regional cabinet meeting, continuing the governor’s promise to directly connect local communities and citizens with state government. The public event was held at Scott Theater at Carroll Community College and was attended by students, local leaders, and members of the community. Governor Hogan opened the meeting by detailing the progress the administration has made in Carroll County. He highlighted more than $35 million in investments for vital job creation projects, nearly $460 million dollars toward K-12 education funding, and record investments in transportation infrastructure in the county since 2015. “During my campaign for governor we promised that Carroll County, and the rest of rural Maryland, would no longer be ignored, forgotten, or neglected, and this public cabinet meeting is just one more example that we are doing exactly what we said we would do,” said Governor Hogan. Following the regional meeting, the governor, lieutenant governor, and secretaries dispersed across the local community, holding more than 60 meetings, tours, and visits with local leaders and organizations. 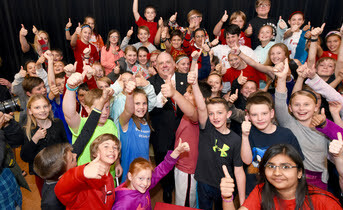 Governor Hogan visited Land Sea Air Manufacturing, the Carroll County Public Safety Training Center, Hampstead Elementary School, and the Arc of Carroll County. Governor Hogan opens the second Regional Cabinet Meeting at Carroll Community College. Governor Hogan delivers the opening remarks at the inaugural Maryland Governor’s Business Summit. 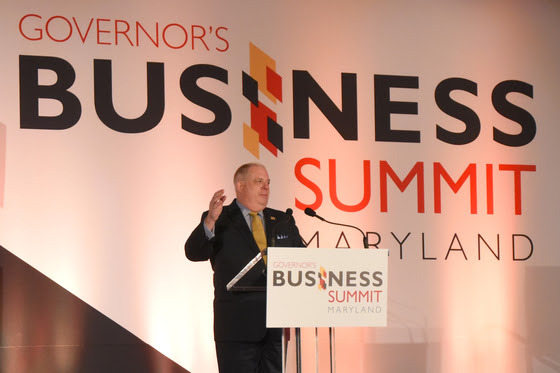 Governor Larry Hogan opened Maryland’s inaugural Governor’s Business Summit before a crowd of more than 700 business, education, and community leaders at the Hilton Baltimore. The day-long economic development conference hosted by the Maryland Marketing Partnership highlights the issues and industries driving Maryland’s economy, including developing workforce through innovation training, protecting businesses from cyber threats, tapping into global markets, and attracting venture capital, among other key topics. Read more about the Governor’s Business Summit and Excel Maryland at bit.do/ExcelMaryland. 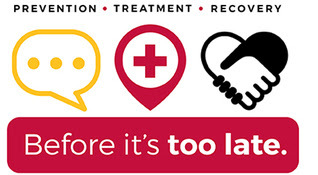 The Hogan-Rutherford administration launched “Before It’s Too Late,” a new web portal designed to provide resources and raise public awareness of the rapid escalation of the evolving heroin, opioid, and fentanyl crisis in Maryland. The new website is a one-stop shop for individuals, families, educators, and health care professionals to get the educational resources they need to prevent this epidemic from spreading—because education goes hand-in-hand with prevention. This public awareness effort also includes a social media presence on Facebook and Twitter. The governor also signed the administration’s 2017 Heroin and Opioid Prevention, Treatment, and Enforcement Initiative legislation, including The Prescriber Limits Act of 2017, which requires health care providers to prescribe the lowest effective dose of an opioid, and the Distribution of Opioids Resulting in Death Act, which allows prosecutors to seek an additional 10 years for drug dealers who knowingly sell fentanyl and its analogs, including carfentanil, which recently caused at least four overdose deaths in the state. Lt. 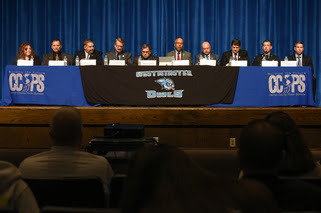 Governor Boyd Rutherford hosted the first-ever Maryland Heroin and Opioid Educational Forum for students at Westminster High School in Carroll County. The forum was part of a full day of events in the county with the Hogan-Rutherford administration, following a Regional Cabinet Meeting hosted at Carroll Community College. Learn more about the forum at bit.do/HeroinEducationalForum. 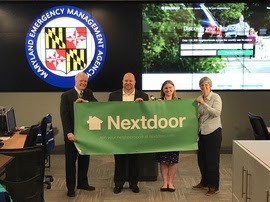 The Maryland Emergency Management Agency (MEMA) recently announced a partnership with Nextdoor, the private social network for neighborhoods, to improve statewide and neighbor-to-neighbor communications before, during, and after disasters. MEMA is the first state emergency management agency in the nation to partner with Nextdoor and will use this social media platform to connect with communities by providing preparedness and alert information directly to residents. Nextdoor will give MEMA the ability to target communications by geography, such as regions or flood zones, which will help the agency share timely information with those who need it. Nextdoor is free for residents. Each Maryland neighborhood has its own private Nextdoor neighborhood website, accessible only to verified residents of that neighborhood. MEMA is excited to add another method for quickly disseminating timely emergency information to Marylanders! Learn more and sign up for Nextdoor at bit.do/MEMANextdoor. 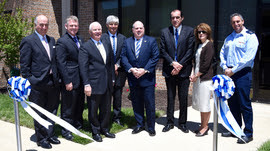 Governor Larry Hogan celebrated the grand opening of ELTA North America’s new headquarters facility in Annapolis Junction. The expansion of ELTA North America, a leading defense manufacturer, was announced during Governor Hogan’s Economic Development Trade Mission to Israel in September 2016. The company upgraded from a 7,500-square-foot-facility to a 21,500-square-foot-facility and plans to add up to 50 new jobs over the next two to three years. By the end of 2018, ELTA North America expects to employ more than 100 workers in their new Annapolis Junction facility, which is three times larger than their original headquarters. Read more at bit.do/ELTAGrandOpening. 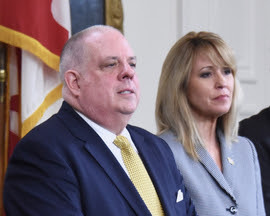 Governor Larry Hogan this month reaffirmed his commitment to providing common sense paid sick leave for Maryland workers while vetoing House Bill 1 – a deeply flawed, job-killing paid leave bill passed by the Maryland General Assembly. The governor also made an impassioned appeal to legislative leaders to work with the administration on a compromise that would provide benefits to hardworking Marylanders without hurting small businesses by January, when the bill was set to take effect. In December 2016, Governor Hogan was the first Republican governor in the nation to put forward a paid sick leave proposal. The governor’s common sense and balanced plan provided tax incentives to small businesses that offered paid leave and had the potential to cover nearly all working Marylanders. The governor signed Executive Order 01.01.2017.08, which creates a task force headed by Maryland Labor Secretary Kelly Schulz and including the Governor’s Office of Minority Affairs, the Department of Commerce and the Department of Human Resources. This task force will conduct a comprehensive field study to further and formally determine how a better paid sick leave plan can be implemented, with a report to be submitted in December. Last week proved to be a victorious one for Maryland collegiate lacrosse teams! 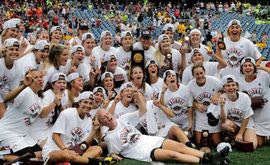 The University of Maryland women’s lacrosse team won its 13th NCAA national championship, while the men’s team became national champions for the 12th time since 1928. The Salisbury University’s men’s lacrosse team also brought home a win with their 12th NCAA Division III national championship.